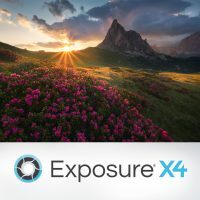 Exposure X4 is now Available! Exposure X4 is now available! It's the newest version of our award-winning photo editor and organizer and includes powerful new features and a giant leap forward in RAW processing. Exposure X4 Is Coming Soon! We are delighted to announce the upcoming release of Exposure X4. It's the latest version of our award-winning non-destructive RAW photo editor and organizer, and it includes lots of helpful new features. As part of our 25th-anniversary celebration, look through the historical archives of Exposure’s evolution since its first release. Take a look back through the history of Alien Skin Software as we celebrate 25 years in business. 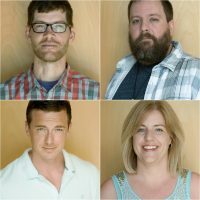 One of Alien Skin Software’s core goals is to provide the best experience for each of our customers. We take pride in our customer service being fast, friendly, and human. The Exposure X3 Complete Workflow Update is Here! A substantial new update to the Exposure X3 creative photo editor is now available. The Exposure X3 Complete Workflow Update provides new features that greatly enhance your ability to create beautiful images and master your workflow. And it’s free to anyone who already owns Exposure X3. The Exposure X3 Complete Workflow Update is coming soon. Learn more about what to expect in the update by watching our New Enhancements video. Exposure was designed to be catalog-free, which provides you with many workflow benefits. What Do You Want To See in Future Versions of Exposure? Now’s Your Chance To Tell Us! Want to help guide the development of future versions of Exposure? Now you can do so by responding to a quick survey and telling us what you’d like to see in future releases. The future of Lightroom may be uncertain, but the future of Exposure is clear. Exposure will continue to provide photographers with unmatched creative editing, powerful organizing tools, reliability, and speed. There are no subscriptions, proprietary storage, or tiered storage plans. The 2.8 update to Exposure X2 is now available. It adds support for many new cameras, as well as for Wacom tablets. If you own Exposure X2, you can download it for free. Celebrate the release of Exposure X3 by participating in our monthly photo contest. 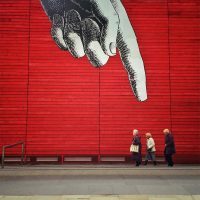 We are expanding the contest to include submissions on Instagram. Use #exposurex3octobercontest and #alienskinphotocontest to enter your photos to win. Entries will be accepted through October 24th, 2017. 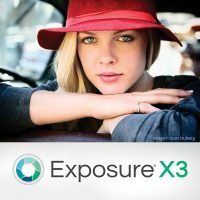 Exposure X3 is now available! It's the latest version of Exposure, our award-winning creative photo editor, and includes new features that greatly enhance your ability to create beautiful images and master your workflow.